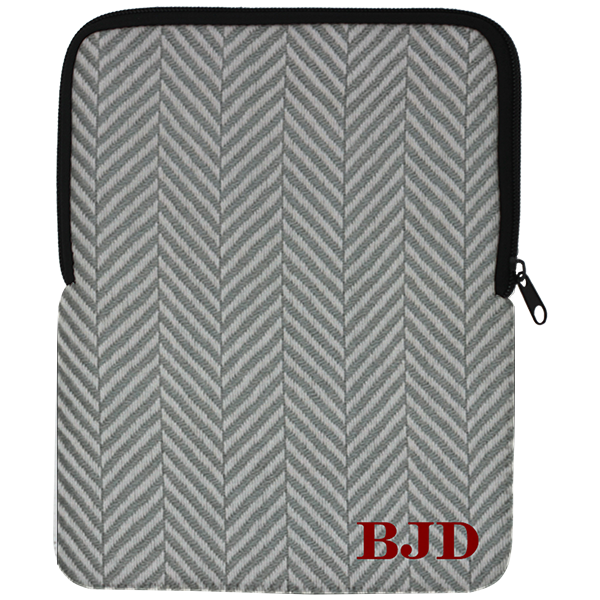 A perfect gift for the tech-savvy man in your life to protect his iPad, the Herringbone iPad case will not only protect but look good doing so. A perfect gift for the tech-savvy man in your life to protect his iPad, the Herringbone iPad case will not only protect but look good doing so. Our notebook measures approximately 7.5"x9.75" so it fits your iPad air securely. Notebook are made in the USA. A monogram adds a touch of personalization. Order today!